Taylor caught eight passes for 258 yards to help lead the Concordia Stingers to a dramatic come-from-behind 22-20 victory over the Sherbrooke Vert & Or. In the fourth quarter alone he caught five passes for 170 yards. Two of those receptions (55 yards and 50 yards) gave his team great field position deep in the Sherbrooke zone and set up crucial touchdowns by teammates Maxime Bouffard and James Tyrrell. The 258 yards gives Taylor the fourth-best single game performance in conference history. Hall, a fourth-year Arts & Science student secured what proved to be the game-winning points in Saskatchewan’s wild 48-46 win over the Manitoba Bisons Friday night in Winnipeg. With the score 41-37 in favour of the Huskies late in the fourth, Hall picked off Manitoba quarterback Des Catellier at the Saskatchewan 20-yard line and ran the ball back the distance, snuffing out the Bisons attempt to take the lead. Thanks in part to Hall’s clutch play, the Huskies improved to 2-0 on the season. 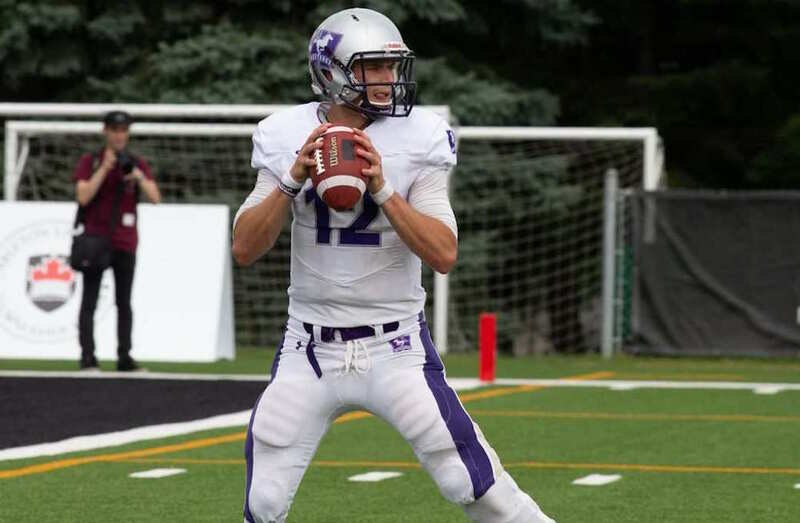 A third-year community development student from Wolfville, N.S., White-Frayne had a 97-yard kickoff return for a touchdown in Acadia's 39-9 win over the Bishop's Gaiters Saturday in Lennoxville, Que. He also had nine punt returns for 74 yards (8.2 yard average) in the win. Sportsnet and TVA Sports are once again the official broadcasters of the U SPORTS football semifinals and final in 2018. The Mitchell Bowl (CW at OUA) and Uteck Bowl (AUS at RSEQ) are set for Saturday, Nov. 17, while the Vanier Cup follows on Saturday, Nov. 24 at TELUS-UL Stadium in Quebec City. For all the information on the 54th Vanier Cup (including tickets) click here.